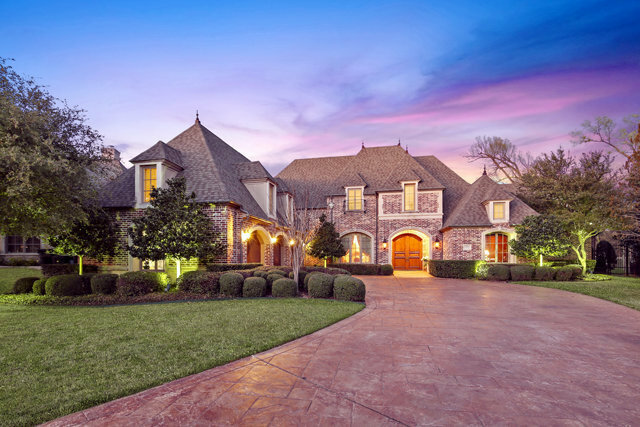 5580 Versailles Avenue - $1,500,000 6,425 SQFT Stunning custom home offers traditional elegance on a .47 Acre cul-de-sac lot in gated/guarded Stonebriar Park backing to a greenbelt with water views. Lovely back yard views provide enjoyment and relaxation! 5BR/STUDY/4.1BTH/4LA/3GAR/POOL/SPA with GREENBELT & WATERVIEWS. Upstairs & downstairs Game Rooms! Oversized Media Room could be flex space, home business use or convert to 2nd Master. Built 2003.